Gordon Ramsay is one of the most famous chefs in the world and one of the few who are celebrities in both hemispheres. While best-known for being a shouty chef on TV, he first made a name for himself cooking in Britain’s kitchens becoming a highly respected chef. His restaurant empire now spans two dozen restaurants over multiple continents. 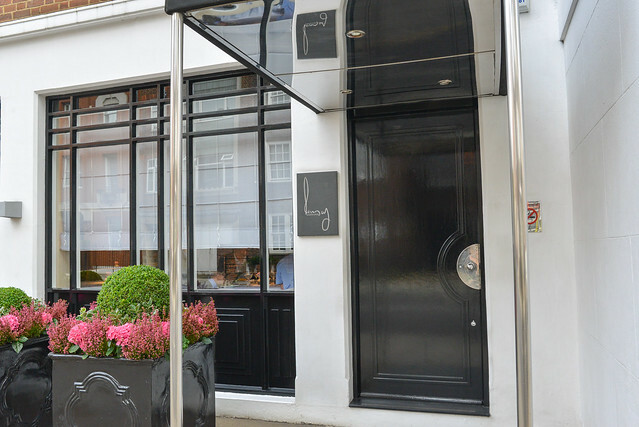 This restaurant, located in London’s Chelsea neighborhood, was his first and is his flagship. 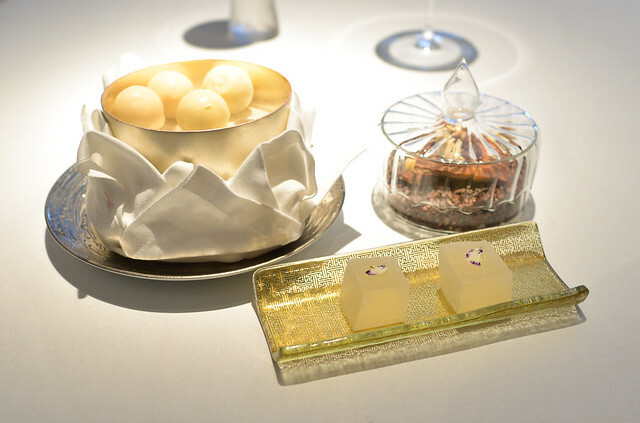 It’s also currently the only Michelin three-star in his portfolio. We stopped in for lunch after dinner the previous night at…Dinner. A few dining options are available for lunch. 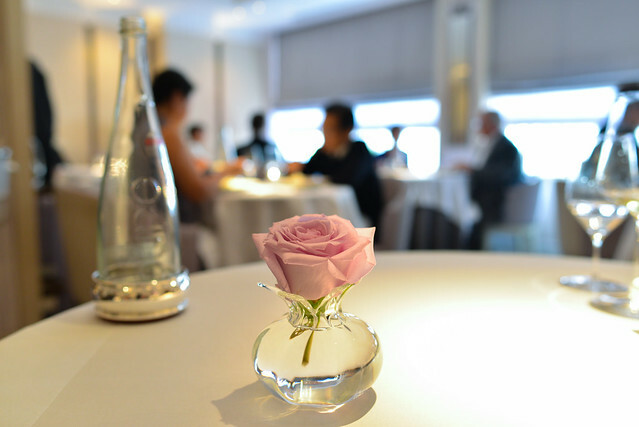 A three course lunch tasting menu is available (£55, with three options for each course) as well as a three course a la carte at £95 with even more choices. 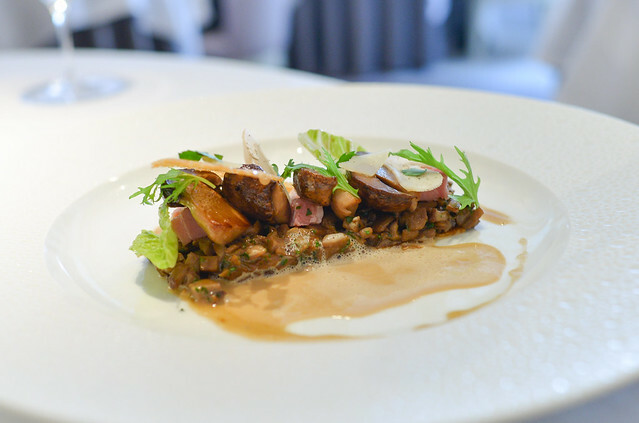 For those looking to splurge, a full chefs tasting menu of 7 courses is available for £135. We ordered one lunch menu and one a la carte. 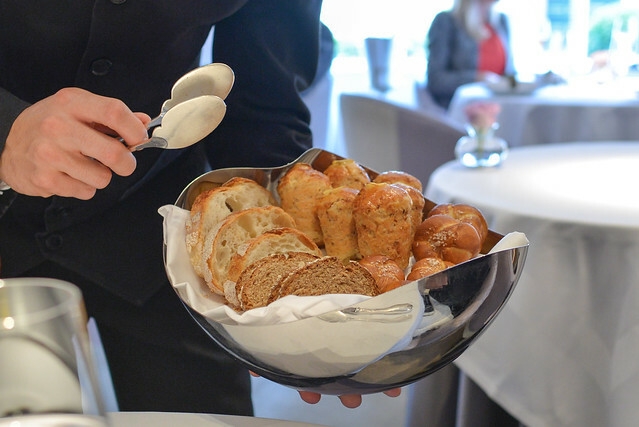 Bread came first, accompanied by artfully presented salted butter with a few cracks of black pepper on top. 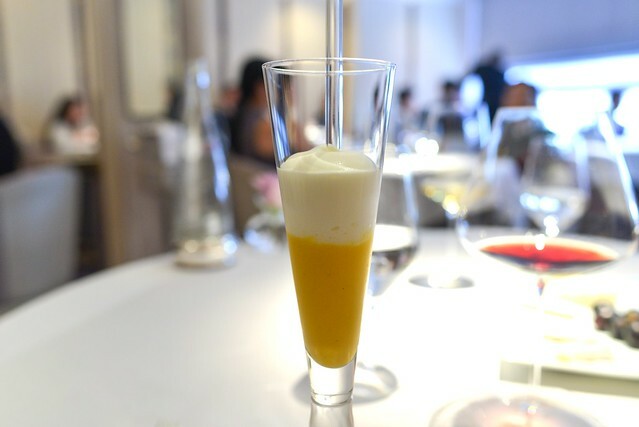 This amuse bouche was the first thing out of the kitchen. 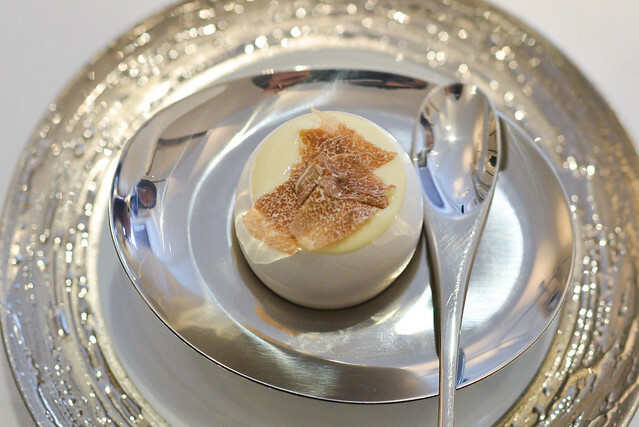 The rich, almost custard-like mousseline was a nice way to start the meal, particularly with its slivers of fresh white truffle. 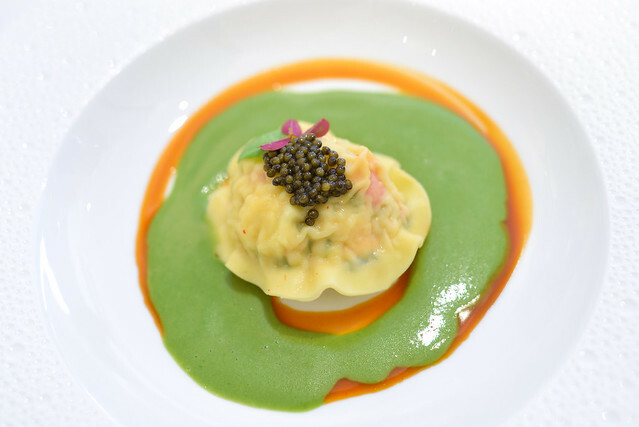 A signature item at the restaurant, this raviolo was beautiful. Packed with lobster, langoustine and salmon, it had a lot of sweet shellfish flavor with a bit of salinity from the caviar. A slightly grassy flavor from the sorrel completed the earth-sea combination. Delicious. Strong earthy flavors came through on this first course of the lunch menu. Small chunks of ham were present too, all eaten with light and crispy pieces of toast. 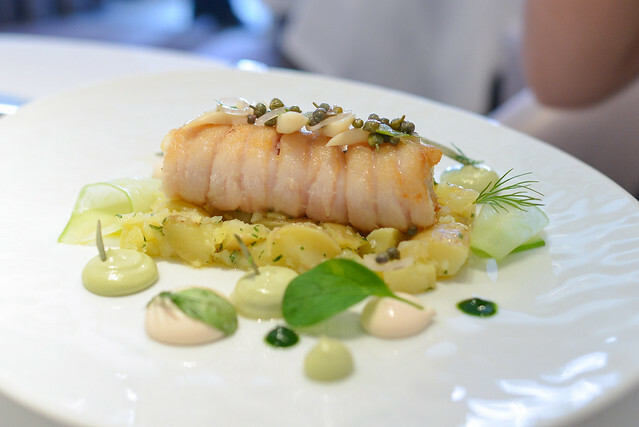 The second course of the lunch menu was this one featuring skate wing rolled and seared to a delicate crisp. It was cooked perfectly, accompanied by diced razor clams, potatoes and a brown butter sauce. 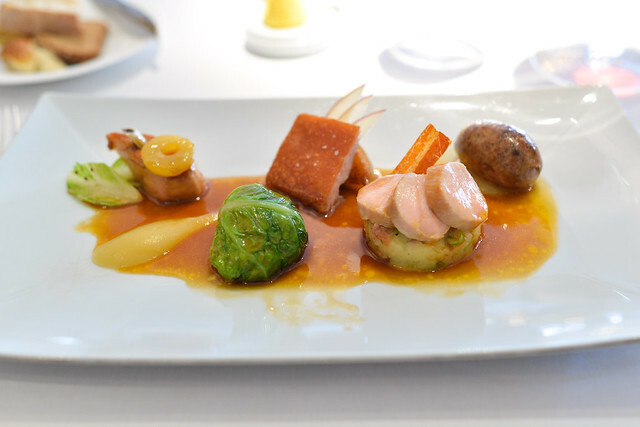 This main course, off the a la carte menu, was suckling pig cooked five different ways. Ham with pineapple, crispy pork belly, sausage, pork-stuffed cabbage, and loin over potatoes. Each was done really well and I enjoyed each bite. This soup made for a refreshing pre-dessert with floral-scented bright fruit flavor. 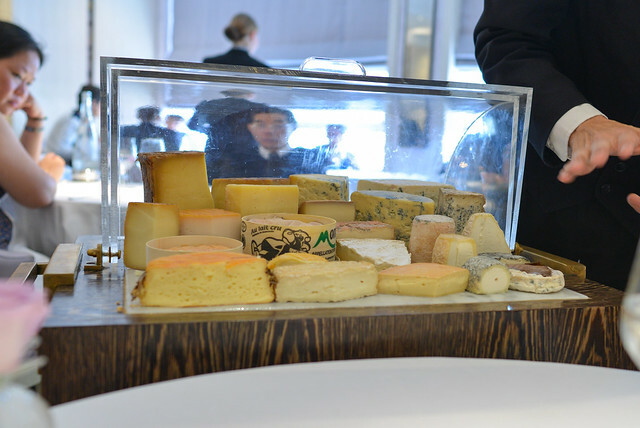 The cheese cart was a £10 supplement to the lunch menu. Dessert was a take on the classic chocolate-mint pairing. The peppermint souffle rose beautifully, light and airy with a definite mint flavor coming through. It wasn’t nearly as sweet as expected, complemented by a bitter dark chocolate sorbet. 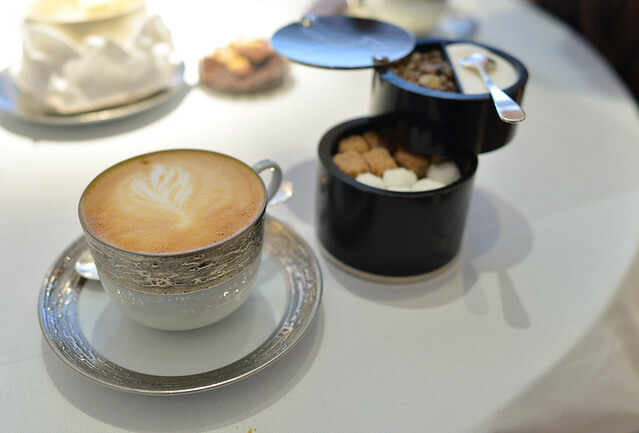 Some final sweets (including some liquid nitrogen-frozen white chocolate & strawberry ice cream bites) and a cappuccino completed the meal. 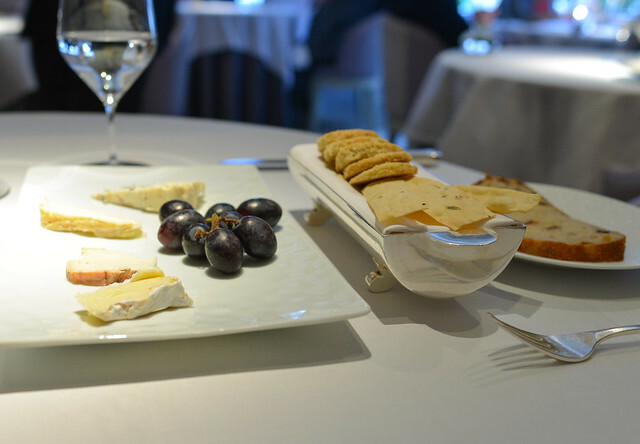 The meal at Gordon Ramsay was one of the best of this trip and exceeded expectations. 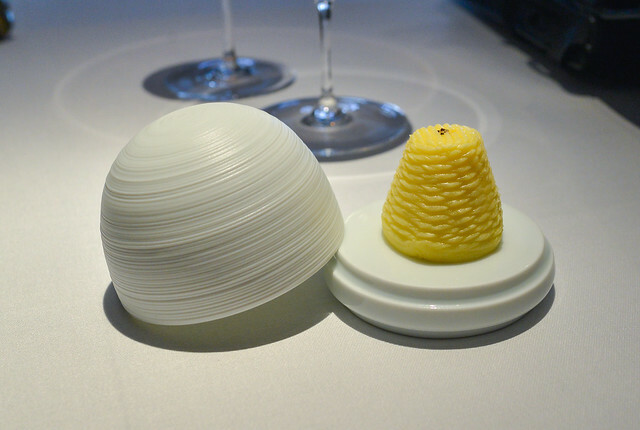 It reminded me of similarly three-starred The French Laundry quite a bit – the food seems relatively simple, but there’s a very high level of technique and execution behind each dish. There were no letdowns; everything was delicious. 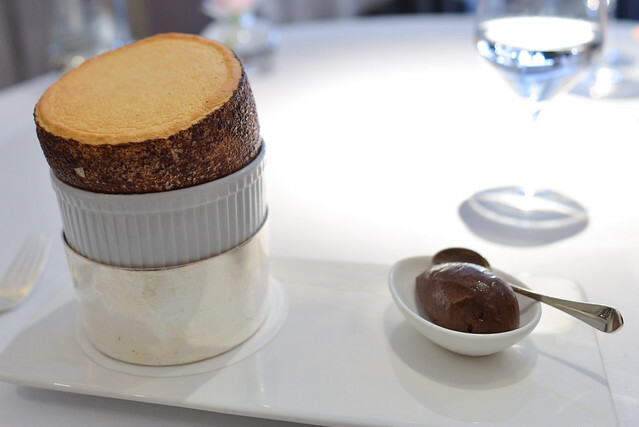 At £55, I thought the lunch menu provided a lot of value (which ended up being 5 courses with extras) while the a la carte was still a decent price for this level of cooking. As expected, service was very strong during this meal as well. So nice to hear that Ramsay still has a solid 3-star spot! And I liked the “shouty chef” description. Yep, he (or the people he hires, at least) can still cook!